Vladimir Zolottev has dedicated himself to the continuous development of character through the martial arts for more than 25 years. Born in Romania, Vladimir started his training in Shotokan Karate at the age of 13 under Shihan Aurel Patru and Sensei Marian Patru of the Romanian National Karate Team. Within 3 years, Vladimir became one of the youngest competing members, and trainers, of the National Karate Team of Romania. Vladimir successfully competed with the National Romanian Karate Team at competitions throughout Europe, the Middle East, and the United States. Vladimir holds numerous awards, including First Place awards in Shotokan Karate at National, European and World levels. Vladimir also holds awards in Tae Kwon Do. In June 2008, Vladimir began training in Krav Maga under Master Instructor Rhon Mizrachi and Instructor Ed Maisonet in N.Y.C. Due to his innate talent, and understanding of the human body and martial arts, Vladimir was accepted into the Krav Maga Instructor Course taught by Master Instructor Rhon Mizrachi in 2009. 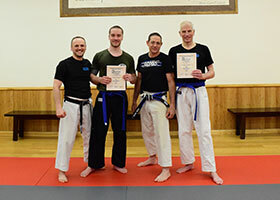 He successfully graduated the course and has been authorized by the Krav Maga Federation to teach certified Krav Maga Federation curriculum at Westchester Krav Maga since 2009. 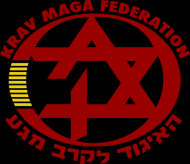 Westchester Krav Maga is a Krav Maga Federation affiliate school, and is currently located in New Rochelle, N.Y. with True ChampionZ Martial Arts. Vladimir is a gifted athlete and an exceptional instructor. At the age of 16 he was chosen as an assistant instructor to the Romanian National Karate team, and has been passionately teaching ever since. 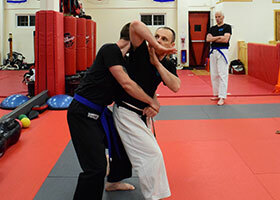 His intensive competitive training experience has brought him an intuitive understanding of concepts of movement, position, and Krav Maga techniques. 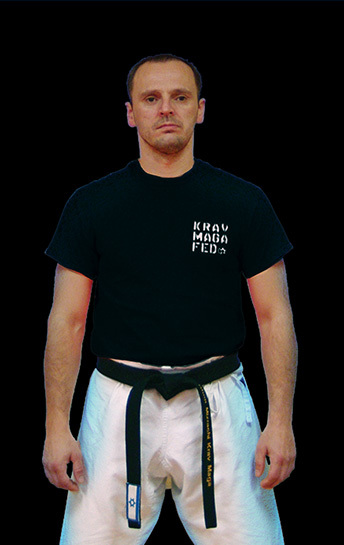 To learn more about Instructor Vladimir Zolottev, please also visit True ChampionZ Martial Arts. Vladimir Zolottev teaching kicks in Kids Krav Maga. Vladimir Zolottev demonstrating Krav Maga Defense against Bear Hug. Demonstrating Krav Maga Self Defense Techniques. Instructor Vladimir Zolottev with Master Rhon Mizrachi: congratulations to Westchester Krav Maga Blue Belt Test Achievement August, 2018. Vladimir Zolottev teaching Krav Maga Blocks. True ChampionZ Martial Arts & Westchester Krav Maga proudly serve the communities of Westchester County, the New York metropolitan area, and Connecticut, including New Rochelle, Scarsdale, Larchmont, Mamaroneck, Pelham, Bronxville, Eastchester, Mt. Vernon, Yonkers, Tuckahoe, Harrison, Hastings-on-Hudson, Tarrytown, Hartsdale, White Plains, Irvington, Dobbs Ferry, Ardsley, Riverdale, the Bronx, Rye, Rye Brook, Port Chester, Greenwich, Cos Cob, New York City, with classes in Martial Arts, Krav Maga, Shotokan Karate, Self Defense, Conditioning, Fitness and Kick Boxing.